Three European fixtures from the Champions League and Europa League have been selected for broadcast on Freeview as European-level football returns from its winter break. It is part of rights holder BT Sport's commitment to showing a selection of fixtures free-to-air, via its Freeview service BT Sport Showcase. On Tuesday 14th February 2017, Freeview channel 59 will be showing live coverage from the UEFA Champions League with the first leg of the last 16 match between Paris St Germain and Barcelona from 7pm. Then on Thursday 16th February, the channel will show two back-to-back UEFA Europa League first leg fixtures, starting with Mönchengladbach v Fiorentina from 6pm and Villareal v Roma from 8pm. European fixtures involving English teams are not due to be broadcast free-to-air, with the Wednesday night Champions League tie between Bayern Munich and Arsenal, as well as Manchester United's and Tottenham Hotspur's fixtures in the Europa League on Thursday night broadcast on BT Sport's subscription channels. 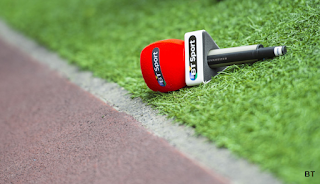 BT Sport is available to subscribers with BT TV, TalkTalk TV, Virgin Media and Sky. Free matches shown on the BT Showcase Freeview channel are also simulcast on Virgin channel 548.